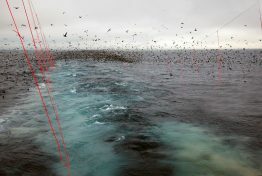 More than a decade after streamer lines were introduced to Alaska’s longline fisheries, seabird bycatch is down more than 77%...but there’s still room for improvement. Under climate change, plants and animals will shift their habitats to track the conditions they are adapted for. As they do, the lands surrounding rivers and streams offer natural migration routes that will take on a new importance as temperatures rise. 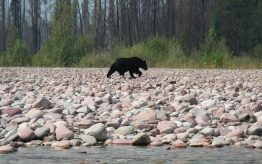 An open-access study led by the University of Washington pinpoints which riverside routes in Washington, Oregon, Idaho and western Montana will be the most important for animals trying to navigate a changing climate. The Arctic is warming twice as fast as the rest of the planet. One consequence of that trend is the thawing of permafrost, a layer of earth that has remained frozen for thousands of years in some areas. This frozen soil and vegetation currently holds more than twice the carbon found in the atmosphere. 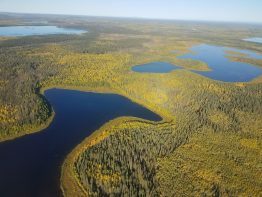 As permafrost across northern Alaska, Canada, Siberia and other high-latitude regions thaws, microbes in the soil consume organic materials, releasing carbon dioxide or methane, an even more potent greenhouse gas, into lakes and the atmosphere. 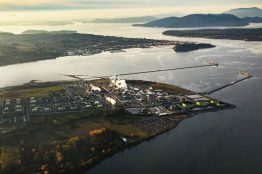 The UW Climate Impacts Group has released a brief discussing the implications of a 1.5°C increase in average temperatures for Washington State. No Time to Waste summarizes The Intergovernmental Panel on Climate Change’s Special Report on Global Warming of 1.5°C, and projects the impacts likely to be realized in Washington as soon as 2030. The brief assesses the current state of warming globally and outlines the most profoundly felt impacts likely to affect communities in Washington, including disruptions to transportation, infrastructure, public utilities and port operations. After many people in the Puget Sound region had dismissed any chance of snowfall in the lowlands this season, the region is now on track for not one, but two, and possibly even more snowstorms this winter. 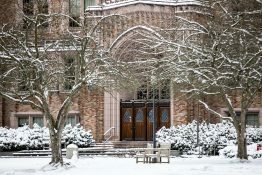 Nick Bond, a University of Washington associate professor of atmospheric sciences who serves as Washington’s official state climatologist, commented Thursday on the upcoming snowstorm – the second to hit the Puget Sound region this week.